The epiphany, the “aha” moment, the smack on the side of the head. No matter what we call it, that moment when the last piece of the puzzle snaps into place is an amazing moment. In this case, that moment had to do with writing a compelling story. Let’s face it, some writers are just masters at creating a story that readers can’t put down. For me, that’s the ultimate compliment and the holy grail of writing mysteries and suspense. I’ve studied and practiced the craft of writing for many years and became a fan of Jack M. Bickham’s scene and sequel writing theory for some time back. In my opinion, most fiction writers would benefit just by learning Bickham’s theories about how to structure a novel. When I read Bickham’s “Elements of Fiction Writing: Scene and Structure,” I realized that my writing had subconsciously been moving in that direction for years. Bickham’s guidance was what I needed at precisely the right moment. It gave me questions to ask before I started laboring over any new scene. In short, it gave my writing structure. • Everything that happens in a story is based on a stimulus and for every stimulus, there will be a character response. • Scenes advance the story through establishing character goals, generating conflict, and taking characters one step forward, two steps back with major and minor disasters. • Sequels provide the reader an opportunity to get closer to the characters by showing why they took an action and what emotions they felt. The sequel also sets up the next action in the story. My second “aha” moment was pure serendipity. I’d just attended a meeting where bestselling author Kelley Armstrong talked about plotting. She gave a number of tips to help writers move their plots forward more quickly. That, as the saying goes, “primed the pump.” The real smack on the side of the head came when my wife brought home an old Greg Isles book that she came across while working at the Friends of the Library bookstore. “Black Cross” hooked me with the first sentence. So far, good job Mr. Isles, you made me want to finish the paragraph. At the end of the first paragraph, I had to read the second. Then the third. By the end of the second page, there was no question that this was what a compelling read was all about—the next paragraph. The epiphany—it’s all about playing dirty. Whether I’m writing a funny Hawaiian mystery like PHOTO FINISH or a suspense novel like my upcoming release, my goal is to get the reader to the next paragraph. If I write each paragraph with a mini-hook at the end, I’ll have done my part. Perhaps someday I’ll have another moment like “the next paragraph” moment. Will it be days? Months? Years? I have no idea. What I do know is that instead of using a hook at the end of each chapter, as I did before, I’m now taking that concept to the paragraph level and treating each paragraph as though it might be a chance for the reader to put down the book. Sorry, readers, but I’m determined to play dirty and not give you that chance. Terry Ambrose started out skip tracing and collecting money from deadbeats and quickly learned that liars come from all walks of life. He never actually stole a car, but sometimes hired big guys with tow trucks and a penchant for working in the dark when “negotiations” failed. 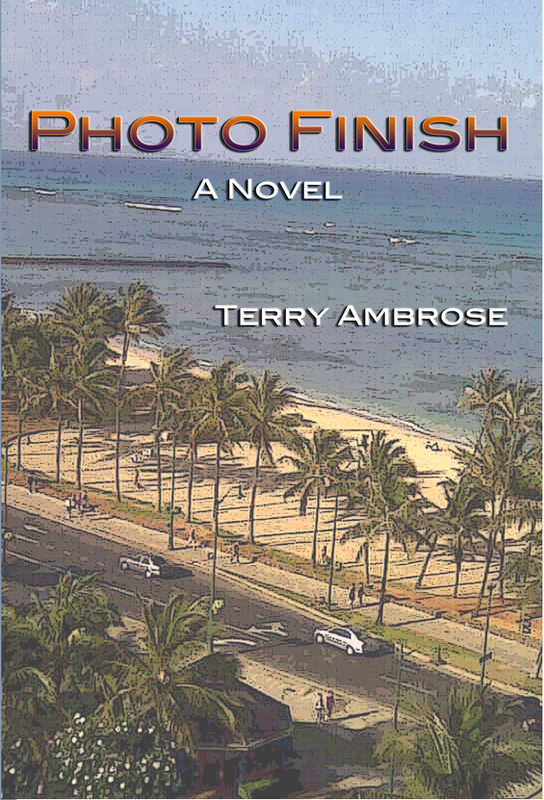 In his debut novel PHOTO FINISH, a former skip tracer meets a beautiful con artist in Honolulu and finds trouble almost too hot to handle. Terry’s next novel, LICENSE TO LIE, will be released in mid December. It’s about a $5 million con gone bad and the harshest lesson of all—never trust a soul…even your own. Learn more about Terry on his website at terryambrose.com or on his Facebook author page at facebook.com/suspense.writer. I have always been a writer. In high school, I served as yearbook editor. In college, I sequenced in a series of English classes. Early in my business career, I took creative writing after work. In recent years, I've worked for several magazines as a freelance writer. So, writing a novel should have been easy. Right? Hmmm. Not so much. Actually, writing the novel was not the hard part. Writing a good novel was. When I wrote my first manuscript, I was very excited. I sent out query letters. I attended writing conferences. I got some interest. Hooray! But then I came down to earth. How do I know the book wasn't very good? Well, the rejection slips were one way but more importantly, an agent was kind enough to write me a long letter and tell me specifically what was wrong with it. First, she said, the book was too long. In fact, that manuscript was twice the length of what most debut novels should be. Second, she said the story was interesting but the pacing was slow and the action took too long to happen. Finally, the chapters were overly wordy and (surprise!) too long. But, she also said there was potential in my writing. I had just buried it in too many words. Thankfully, I listened. To learn to use words economically, I entered short story contests and, happily, earned some awards. I truly believe this is a great practice for writers who are developing their writing style. Not only will you challenge yourself, you will get honest feedback from the judges. Choose contests with varying lengths. Can you tell your story in 2500 words? 1500? How about 500? I also took on freelance writing assignments that were often limited to 1000 words. Essays, too. Today, I find word limits easy but only because I listened to constructive criticism from someone who was in a position to give it. 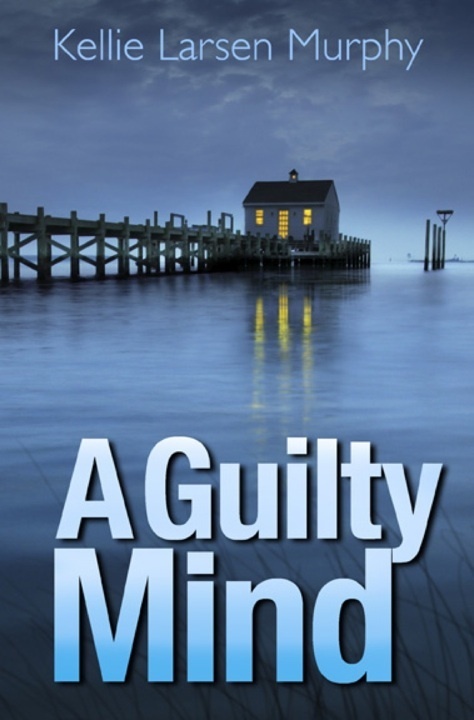 My new novel, A GuiltyMind, is built on short chapters to create suspense. This aspect of my writing style is the direct result of the work I put in on contests and freelance assignments. And how do I know it works? Well, I have been fortunate to speak with several book clubs that have chosen A Guilty Mind and one recurring comment is how they enjoyed the short chapters. As a writer, I love when someone says, "Well, I was super tired but the chapters were short so I thought I'd stay up and read just one more…"
Sometimes, it's easy to be in awe of another writer's ability and lose faith in yourself. I once took a creative writing class where one of the students was so good, such an intuitive writer, that the rest of us hung our heads. Our work probably wasn't all that bad but when she read her stories out loud, she took us all to another place and time. Yet, in spite of her skill, I've never heard of her again and don't know if she is still writing today. Don't be intimidated by rejections either. Try to learn where you can improve your style. While your friends and family are wonderful, they may not be qualified to tell you where your style needs work. 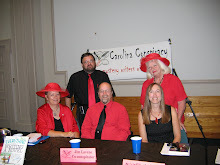 Test your style on your writing group, beta readers, or even your book club if they are willing. My own book club read the first draft of A Guilty Mind and their feedback, questions, and criticism helped shape the final manuscript. Starting over can be anything from a rewrite to starting an entirely new novel. This is what I did. While I haven't permanently abandoned that first manuscript, a new story was buzzing in my brain and I couldn't wait to write it - especially with all that I had learned. That story, A Guilty Mind, was born. Still, it wasn't a cakewalk. I wrote several drafts. I chopped chapters. I added an entirely new character in one of the later drafts. The point is, don't be wedded to the words. Starting over, whether it's just a paragraph or several chapters allows you to tell the story in the best way possible, always honing and developing your style over time. While finding the time to work on my next novel is sometimes a challenge, finding my style isn't. 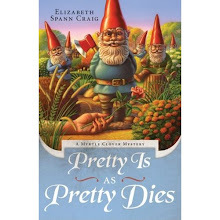 Writing this book in a voice that fits the genre and me is easier than ever. All it took was listening, practicing, and not giving up. 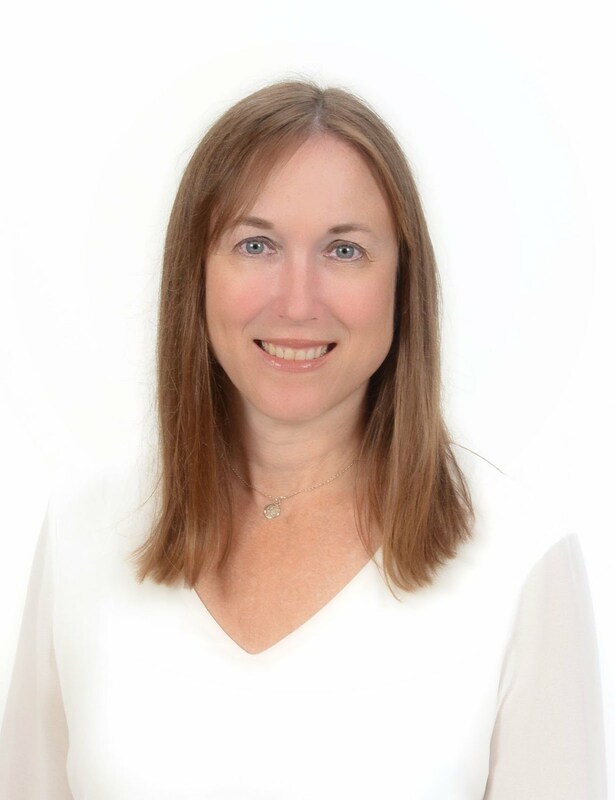 Kellie Larsen Murphy is a freelance writer for several regional and southern magazines. An avid reader and book club enthusiast, she'd enjoy meeting you on her blog where she posts about her publishing journey. A Guilty Mind, the first in a series of psychological suspense novels featuring Detective Michael Cancini, was published in September. You can follower her on twitter @aguiltymind. One of the best ways to make sure readers keep turning pages is to include plenty of conflict and tension in our story. Today I’m over at F.C. Malby’s blog with some tips for developing conflict and tension in our books. Hope you’ll pop over. I probably should have run this post before Thanksgiving. But getting ready for Thanksgiving made me busy and I was juggling different activities—and writing. Which is what reminded me about doing a post on writing during the holidays! Obviously, visiting with friends and family is the most important part of the holidays. But writing is also important to most of us. And we all know how easy it is to fall out of any habit over the holidays—whether it’s healthy eating, exercising, or writing. Write early or late. This works well whether you’re at home, hosting, or traveling. Don’t try to catch up. There’s nothing more frustrating than feeling like we need to catch up on our word count. But if you have a chance to do a little extra for the next day (in case the following day is busier), then do it. If there’s a free moment where you’re alone and quiet, pick up your story. If you’re traveling, keep your story on a USB or save it to a cloud like Google Docs. Write less each day, but still write daily, or nearly every day, to keep your habit going. Let everyone in on your goal. This won’t work well with all families, but if yours is the supportive kind, let them know you’re trying to continue writing over the holidays. Be forgiving of yourself. Don’t be too hard on yourself or your draft. Leave the house to write. Can you go out to grab a coffee and write for fifteen or twenty minutes? If you just feel completely sapped and unable to be creative, try doing something with your book. Brainstorm, plan what you might want to write the next day, make random notes on setting, character description, etc. It’s easy to feel guilty when making time to write during the holidays. You might feel guilty even if no one is around to see you putting time into your story: maybe everyone else is waking up and making breakfast and you’re upstairs trying to write a couple of paragraphs. Or everyone else is still winding down downstairs at night before turning in and you’re finishing a page. I don’t think we have anything to feel guilty about as long as we’re fully present with our family and friends when we’re with them. If we take thirty minutes to be alone to work on something that’s important to us, that’s nothing to feel guilty about. And I don’t think we have to have an official deadline to justify our daily writing or to place importance in it. How do you stay on track and maintain a writing habit during holidays or other busy times? The links are fed into the Writer’sKnowledge Base search engine (developed by writer and software engineer Mike Fleming) which has over 19,000 free articles on writing-related topics.